Institute of Management Technology, Nagpur reveled in cultural extravaganza and healthy competition during Milestone 35, the flagship event of Milestone Committee from October 27 and 28, 2018. This event saw a huge turnout of participants from various institutes across India gracing the campus to showcase their talent and rejoice in the pulsating ambience of this national level contest. The multitude of games and contests challenged participants to the end of their wits. The forums and the clubs of the Institute conducted games, which tested the contestants on their word power, storytelling abilities, current affairs, awareness regarding numerous books, and other data based aspects. The event saw myriad talents on display with the thespians mesmerising audiences with their emotions during thematic plays. The dancers captivated the audience with their enthralling move, as they when they swayed to the tunes and matched to the beats. The crowd was in for visual treat, when participants walked down the ramp in their best attire and charmed the audience with their looks and confidence. The event reached its culmination when the star performers took the stage. Reputed stand-up comedian-Garv Malik had the audience in splits with his hilarious repartees and a heart thumping performance by Nalaayak Band won the crowd. The event ended on a high note with lots of dance and equally enthusiastic head bangs. 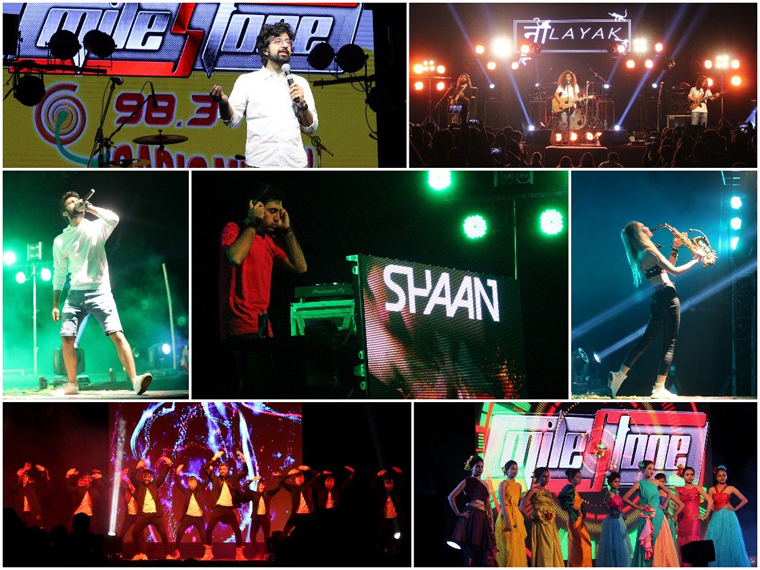 DJ Ola Ras and headliner DJ Shaan along with MC Noizee created an invigorating ambience with foot tapping music and vibrant beats which left the audience craving for more.